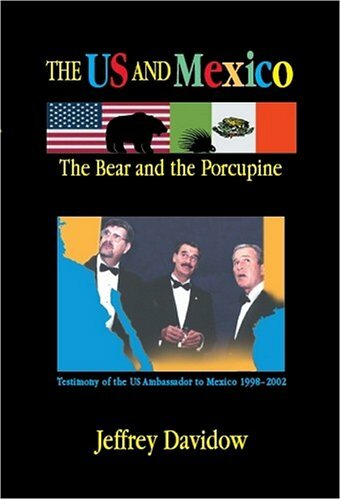 The bear and the porcupine, a parable created by the author, introduces the hypersensitive Mexican porcupine and the insensitive American bear and their difficult relationship. This image has now entered Mexican political discourse. Davidow outlines the forces drawing Mexico and the US together as well as the ignorance and arrogance on both sides, which impede greater cooperation. His expansive study includes a discussion of the two "cowboy presidents" Bush and Fox. Davidow points up how the US understanding of what was truly happening in the Mexican drug world was frequently manipulated, and notes that the US immigration policy has been a failure according to any criteria. Davidow provides readers with the inside story of how Fidel Castro orchestrated a vicious revenge after growing displeased with President Fox. The book describes the Zapata revolt and the subsequent march to Mexico City. Davidow recounts many humorous details about what an embassy must go through when attending to important congressional visits, especially presidential ones. He ends the book with an epilogue envisioning the future of US-Mexican relations. During his Foreign Service career, Ambassador Davidow focused much of his efforts on improving relations with Latin America. He served in increasingly senior positions in the U.S. embassies in Guatemala, Chile, and Venezuela and then later returned to Venezuela as ambassador from 1993 to 1996. From 1996 to 1998, he was the State Department's chief policy maker for the hemisphere, serving in the position of Assistant Secretary of State. He then served as ambassador to Mexico from 1998 to 2002. After serving thirty four years in the State Department, he retired as America's highest ranking diplomat, one of only three people to hold the personal rank of Career Ambassador. Jeffrey Davidow is now president of the Institute of the Americas in La Jolla, California. 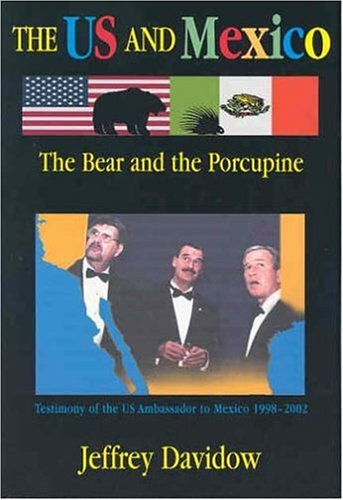 In this vivid memoir, Davidow, U.S. ambassador to Mexico from 1998 to 2002, sheds light on the curious profession of diplomacy and enjoyably depicts how such work ranges from the fascinating to the foolish. Davidow reveals how, in the sensitive and often covert dealings of U.S.-Mexico relations, ambassadors must perform petty damage control while simultaneously tending to the more pressing issues of U.S. national security, most importantly the war on drugs. As he sees it, uninformed and intrusive American officials don't mix well with prickly Mexicans who seem convinced the White House spends much of its time plotting ways to undermine Mexico's sovereignty. The author's casual tone should not discourage the more academic reader; Davidow shares vital new insights in the growing debate over Mexican immigration. He also dishes valuable descriptions of the cast of political characters involved in U.S.-Mexican diplomacy, not to mention some good gossip. Davidow argues that no nation in the world affects the daily life of average Americans as much as Mexico, thus making relations with that country tremendously important. His many years of experience in the U.S. Foreign Service, his profound knowledge of Mexico and his affinity with that country's people and culture make his a valuable perspective, spiced with poignant humor and sharp criticism that will delight readers interested in what goes on behind closed doors in Washington and Mexico City. Illus.